National Testing Network (NTN) is leading the effort to provide continuous testing opportunities for public sector jobs across the country. The Network goal is to connect departments with candidates to create a testing process that is more effective and efficient for both the department and the candidate. 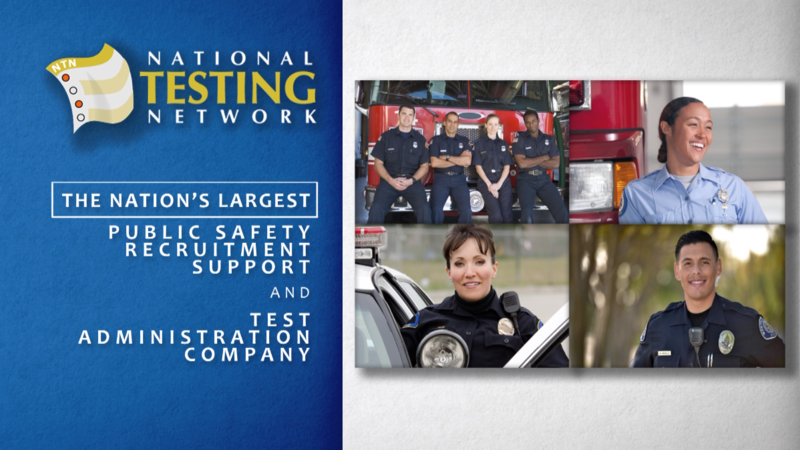 Professional testing facilities created solely to administer public safety employment tests provide ultimate flexibility for candidates to participate. They also allow all departments to effortlessly reach a wide applicant population and use the most advanced methods for selection. National Testing Network was established by career Human Resource and Selection Experts. NTN's Industrial/Organizational Psychologists and Test Experts have over 60 years of combined public safety research and practical testing experience with a wide range of expertise including validation, simulation design, and development and job analysis. National Testing Network tests are administered and staffed by professionals. At some locations, candidates take entry tests on computer terminals. The tests are instantly scored, verified and provided to selected departments. At other locations, candidates test in group settings; scores are avalible to departments in 48 hours. NTN Centers are also equipped with the ability to give the physical abilities tests for police, corrections and in some cases, fire. National Testing Network utilizes tests developed by Ergometrics and Applied Personnel Research, Inc. Ergometrics is a human resource management firm specializing in personnel selection and training. Established over 25 years ago, Ergometrics has designed the most comprehensive video testing and job simulation testing programs in the nation. Ergometrics has provided personnel testing services to over 1000 clients in the U.S. and Canada. Forty three of the 50 largest cities in the U.S. use Ergometrics products as do most state governments and hundreds of banks, credit unions and smaller organizations. Ergometrics' tests have been given to over a million applicants and are extensively and professionally validated, using both content and criterion validation. Ergometrics provides complete documentation that conforms to all legal and professional standards for validation. The City of Long Beach, CA won the 2005 IPMAAC Innovation in Assessment Award using Ergometrics' FireTEAM Testing System. Regardless of the size of the organization, Ergometrics provides a comprehensive set of personnel selection tools that are highly predictive of on-the-job performance.